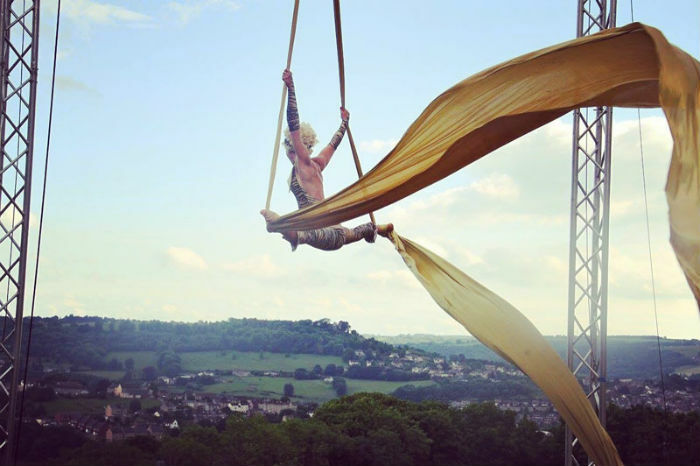 his highly dynamic silks act combines amazing aerial skills with fabulous characterisation, a riot of golden colour and fantastic up-tempo music. 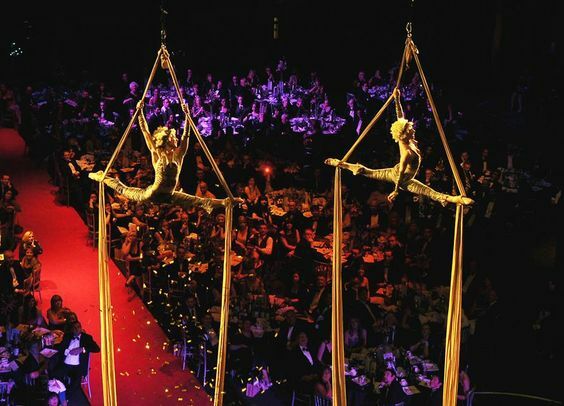 Beautiful movements will be enacted on these aerial ribbons of gold, creating a spectacular atmosphere at any event. Can be booked as a trio, a duo or a solo. 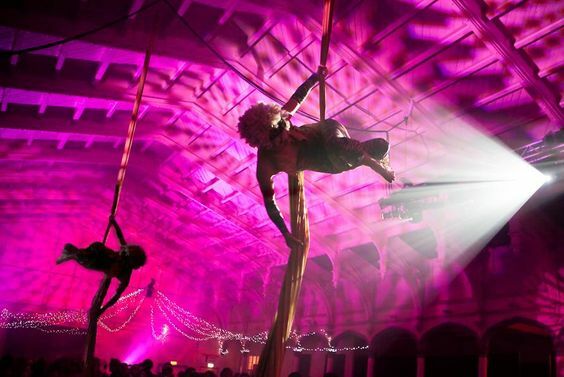 The act is suitable for indoor & outdoor events (subject to rigging requirements) and all age audiences. 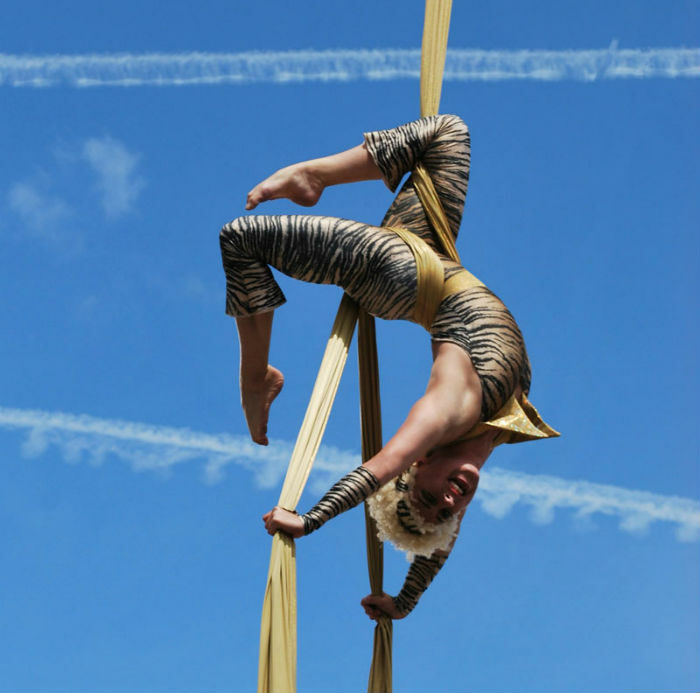 7 minutes (performers can do character walkabout for up to 20 mins before the main aerial show).This aerial act can be performed up to 3 times in a day if adequate recovery time is allowed between performances. 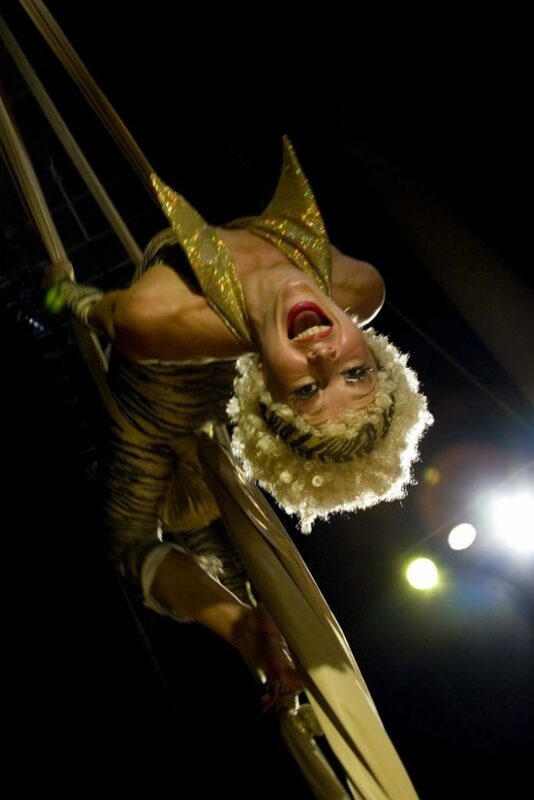 ★ Highly dynamic silks act combined with fantastic up-tempo music.